Generally, entity framework is majorly used by adding an edmx file into your .Net solution and creating tables or dropping tables from existing SQL database. But in certain cases when we are working on large scale applications and having layered architecture with different layers (presentation, service, business and data access) it becomes quite difficult for the developer to make it loosely coupled. Web Front End use some models that are bean classes to store data and transmit them the Service layer, service layers are expecting Data Contracts to be passed as parameters and Business Layers actually processes that data and passes it to Data Access Layer to perform to and fro CRUD operations. We can make common library project that contains single bean which can be travel from presentation layer to Services and Services to Business layer. Problem arises when we need to pass it to the entity framework. As if we are not using a code first approach we need to map that class to appropriate entity framework entity class. This will increase performance decline and also increase extra effort for developer to provide mappings for all the entities. When you use Code First model you really don’t need to include edmx file into your solution, and you just have to define bean classes or entity classes for each table creating or created already. This helps to place all the classes in one common library that will be referenced by all and will support loosely coupling of layers. Create a new folder named as “Entities” inside your project and define all the entities. Entities contain setter getter properties for all the columns in a table. Attribute [Key] denotes that particular property is a primary key. Here in the above snippet I have overridden the OnModelCreating method and set IncludeMetadataInDatabase = false, this basically not create a new database. This is normally used when you have already an existing database created and you don’t want Entity Framework to create a new database for you. Now in order the treat any entity class as WCF data contract you just need to annotate your entity class with [DataContract] attribute and properties with [DataMember] attribute. And same goes if you want to use it with Asp.Net MVC models. Attractive element of content. I simply stumbled upon your blog and in accession capital to say that I get actually enjoyed account your blog posts. Anyway I’ll be subscribing to your augment and even I achievement you access persistently quickly. Some truly nice and useful information on this web site, as well I conceive the layout contains wonderful features. Hey would you mind sharing which blog platform you’re using? I’m looking to start my own blog in the near future but I’m having a hard time making a decision between BlogEngine/Wordpress/B2evolution and Drupal. The reason I ask is because your design and style seems different then most blogs and I’m looking for something completely unique. P.S Apologies for getting off-topic but I had to ask! Have you ever considered about including a little bit more than just your articles? I mean, what you say is fundamental and all. Nevertheless think of if you added some great pictures or videos to give your posts more, “pop”! Your content is excellent but with pics and videos, this website could definitely be one of the most beneficial in its field. Wonderful blog! Thanks for some other informative site. The place else could I get that type of information written in such an ideal means? I have a project that I am just now working on, and I’ve been at the glance out for such info. I just couldn’t leave your site prior to suggesting that I extremely enjoyed the standard information a person provide in your visitors? Is going to be again regularly to investigate cross-check new posts. Thanks a bunch for sharing this with all of us you actually realize what you’re speaking approximately! Bookmarked. Kindly also seek advice from my site =). We may have a hyperlink alternate agreement among us! This is very fascinating, You’re an excessively skilled blogger. I have joined your feed and look ahead to in search of extra of your excellent post. Additionally, I have shared your website in my social networks! Rattling fantastic information can be found on website . “Even if happiness forgets you a little bit, never completely forget about it.” by Donald Robert Perry Marquis. Thank you for the auspicious writeup. It if truth be told was once a amusement account it. Look advanced to far introduced agreeable from you! By the way, how can we communicate? I believe this website contains very excellent written subject material articles. hi!,I really like your writing very so much! share we keep in touch more about your post on AOL? I need an expert in this house to unravel my problem. May be that’s you! Looking ahead to peer you. Keep up the good work , I read few articles on this website and I think that your web site is real interesting and holds circles of superb info . Thanks, I have recently been looking for info about this topic for ages and yours is the greatest I’ve found out till now. However, what in regards to the bottom line? Are you sure concerning the source? I just could not depart your website prior to suggesting that I really enjoyed the usual information a person provide on your visitors? Is gonna be back steadily to check up on new posts. Well said. I really never thought I would accept this particular viewpoint, but yet I’m starting out to consider things through a different view. I’ve got to explore more about this since it seems to be very interesting. One thing I don’t fully understand though is how all aspects are related together. great points altogether, you just gained a new reader. What might you recommend in regards to your submit that you simply made a few days in the past? Any positive? Absolutely indited articles, regards for information. “The earth was made round so we would not see too far down the road.” by Karen Blixen. Good day very cool website!! Guy .. Excellent .. Wonderful .. I’ll bookmark your website and take the feeds alsoÖI am happy to seek out a lot of helpful information here within the post, we’d like work out more techniques in this regard, thanks for sharing. I think youve produced some actually interesting points. Not as well many people would really think about this the way you just did. Im genuinely impressed that theres so significantly about this subject thats been uncovered and you did it so properly, with so very much class. Very good one you, man! Genuinely excellent things right here. I would like to thank you for the efforts you have put in writing this blog. I am hoping the same high-grade blog post from you in the upcoming as well. Actually your creative writing abilities has encouraged me to get my own web site now. Actually the blogging is spreading its wings quickly. Your write up is a great example of it. Some truly nice and useful information on this web site, besides I think the layout holds good features. I and my guys were found to be taking note of the nice pointers on the website and then at once came up with an awful feeling I had not expressed respect to the web blog owner for those tips. These young men had been for this reason stimulated to read through all of them and have now honestly been loving them. Thank you for getting quite kind and also for opting for these kinds of awesome subject areas most people are really desperate to discover. My very own sincere regret for not expressing gratitude to sooner. I truly enjoy reading through on this internet site , it contains fantastic posts . “Something unpredictable but in the end it’s right, I hope you have the time of your life.” by Greenday. wonderful points altogether, you just received a new reader. What could you suggest in regards to your publish that you made a few days in the past? Any positive? Thanks for sharing excellent informations. Your web-site is very cool. I am impressed by the details that you have on this web site. It reveals how nicely you understand this subject. Bookmarked this web page, will come back for extra articles. You, my pal, ROCK! I found just the information I already searched all over the place and simply couldn’t come across. What an ideal web site. Great goods from you, man. I’ve understand your stuff previous to and you’re just too fantastic. I really like what you’ve acquired here, really like what you’re stating and the way in which you say it. You make it entertaining and you still care for to keep it smart. I can not wait to read far more from you. This is really a wonderful website. I was reading through some of your posts on this website and I believe this site is very informative! Continue putting up. 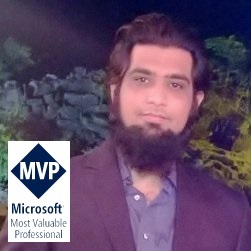 I was looking through some of your articles on this website Using Code First in Entity Framework Ovais Mehboob's TechBlog and I believe this web site is really informative! Retain posting. I too think therefore , perfectly composed post! . I’ve read several just right stuff here. Definitely price bookmarking for revisiting. I wonder how a lot effort you set to make such a excellent informative site. Do you mind if I quote a few of your posts as long as I provide credit and sources back to your site? My blog is in the very same area of interest as yours and my visitors would definitely benefit from some of the information you provide here. Please let me know if this okay with you. Thanks! I haven? ?t achieved a writer pretty much as good when you are. Two thumbs up to get a superb project! I conceive this web site has got very superb written articles content. Youre so cool! I dont suppose Ive learn something like this before. So nice to seek out anyone with some authentic thoughts on this subject. realy thank you for starting this up. this website is one thing that’s needed on the web, someone with a little bit originality. useful job for bringing one thing new to the internet! Thank you for sharing superb informations. Your site is so cool. I am impressed by the details that you’ve on this site. It reveals how nicely you understand this subject. Bookmarked this website page, will come back for more articles. You, my pal, ROCK! I found simply the information I already searched all over the place and just couldn’t come across. What an ideal site. Hmm it appears like your site ate my first comment (it was super long) so I guess I’ll just sum it up what I had written and say, I’m thoroughly enjoying your blog. I too am an aspiring blog blogger but I’m still new to everything. Do you have any helpful hints for novice blog writers? I’d certainly appreciate it. Have you ever thought about adding a little bit more than just your articles? I mean, what you say is fundamental and all. Nevertheless imagine if you added some great visuals or videos to give your posts more, “pop”! Your content is excellent but with images and clips, this blog could certainly be one of the best in its field. Very good blog! Thanks for the good writeup. It if truth be told was a enjoyment account it. Look complicated to more delivered agreeable from you! However, how can we be in contact? Outstanding post, I believe blog owners should larn a lot from this weblog its really user pleasant. So much good info on here :D.
I became honored to get a call from a friend when he observed the important suggestions shared on your site. Examining your blog posting is a real fantastic experience. Many thanks for thinking about readers much like me, and I would like for you the best of success for a professional in this surface area. Hi there I am wondering if I can usability this article on one of my blogs if I component endorse to you? Thanks! Do you mind if I quote a couple of your articles as long as I provide credit and sources back to your website? My website is in the very same niche as yours and my users would certainly benefit from some of the information you present here. Please let me know if this ok with you. Thanks a lot! this was a very humorous read. i enjoyed it damned much!|Thanks for this article! In any case, I had a emotionally upset viewing this article in Safari 5. Fair wanted to give rise to that to your limelight! Thanks.